Browsing articles tagged with " daybooks"
As part of TRWP’s ongoing “Teacher Spotlight” series, which highlights the work of local TRWP teachers, we would like to congratulate Ms. Debra Pagona, a second-grade (and former Reading Recovery) teacher at W. H. Robinson Elementary School in Winterville, NC, whose idea for a Parent-Child Literacy Night took off this year at her school. 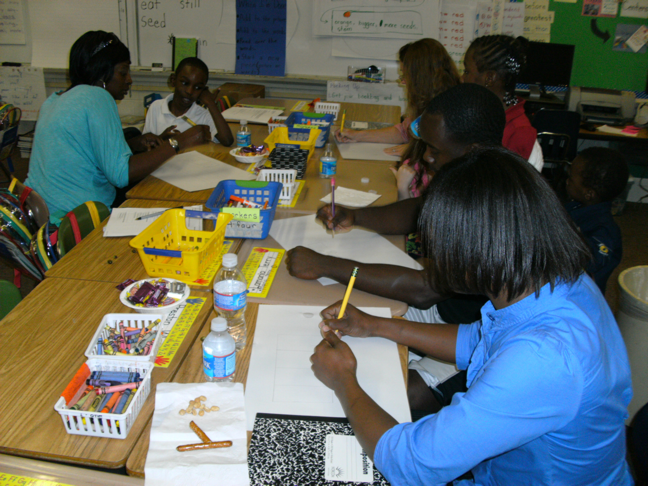 Debra participated in the 2009 Invitational Summer Institute, where some of her ideas for this event began to take shape. 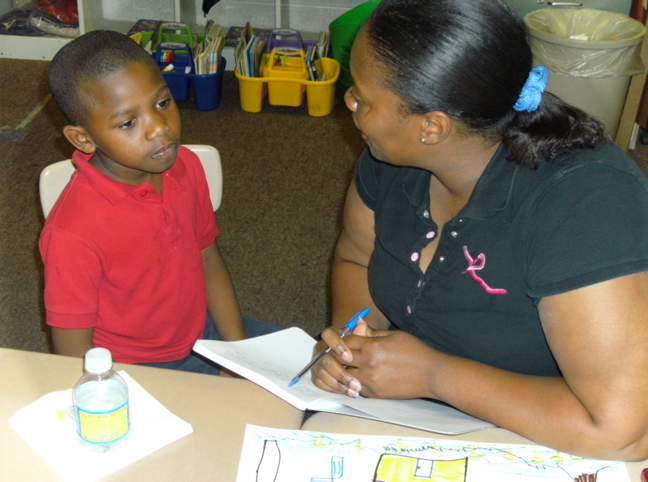 When she decided to put thought to action and make the literacy nights a reality, Debra returned to the TRWP to participate in our 2010-2011 Teacher Inquiry Project (TIP), a teacher-centered research collaborative which works to support innovative classroom and extra-curricular projects for teachers in Eastern North Carolina. 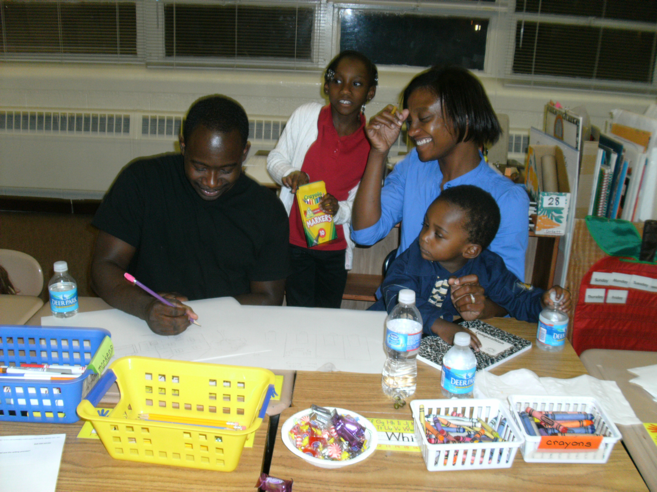 Where did you get the idea for the parent/student literacy night? 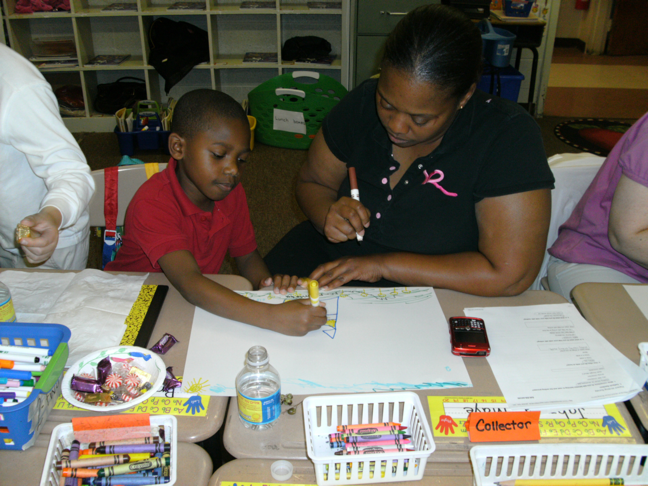 I got the idea for the parent/student literacy night at a TRWP Writing Retreat at Atlantic Beach. We were brainstorming ideas for professional development. It was an “off topic” idea but I shared it anyway. 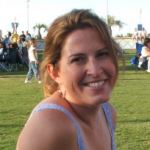 Jennifer Sharpe (SI 2007) and Kerri Flinchbaugh (SI 2010) supported the idea so we could make in happen. More than anything else, I was searching for a way to give my classroom families a taste of my positive experiences with the Writing Project. I wanted them to have a chance to see themselves as writers in a community. How has doing this as part of the TIP helped you to design this program/implement it? The TIP gave me the opportunity for organizing my thoughts about the parent nights so that when I finally delivered the demonstrations it felt natural and easy. I borrowed the largest part of the demonstration from a memorable writing demonstration delivered by Dr. Will Banks in the Summer Institute of the TRWP in which I participated. With all the support I was given, I could focus on the needs of the students and parents instead of worrying about the delivery of my presentation. The TIP gave me the time to prepare my website to advertise the parent/student literacy night, letters home, surveys and a venue for how to view it and approach the project as research. 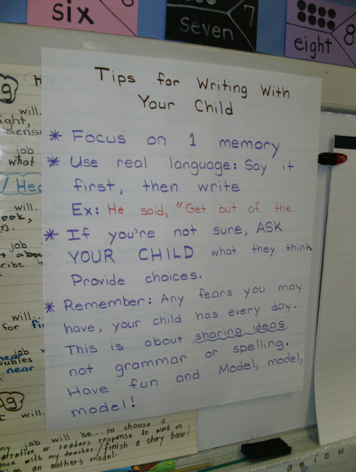 I bounced ideas around with Kerri (SI 2010) and I developed a brief chart entitled, Tips for Writing with Your Child, which parents found extremely helpful. Kerri also “fish bowled” the night and took wonderful pictures so I could reflect on the experience. This helped me decide what to keep and what to change. 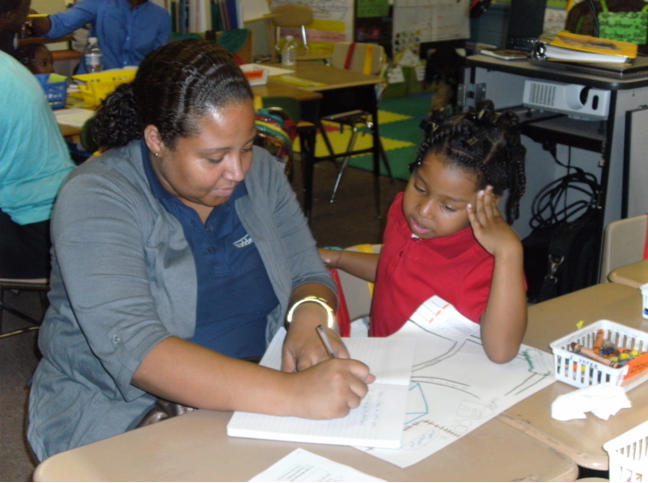 We got many ideas for future parent/student literacy nights based on her observations. Can you single out a specific moment that really encapsulates your experience using daybooks with your students? We do Author’s Chair in my classroom several times per week. At the beginning of the year it was nearly every day. Some children would always participate and others would not. 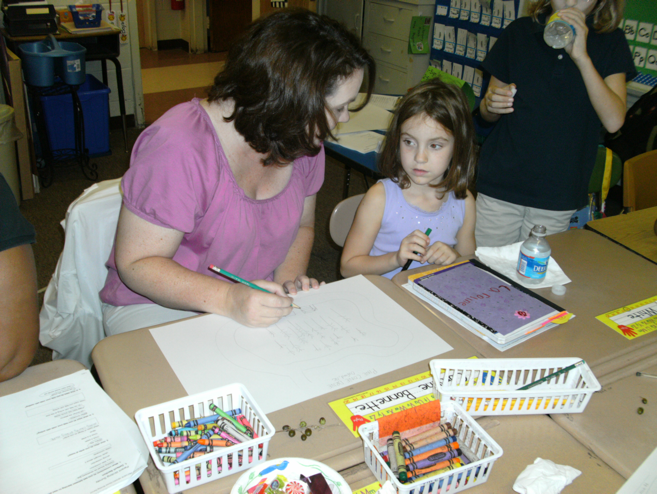 One particular child known only for her “I love my mom” stories attended the literacy night with her mother. The day after the literacy night, that child came into the classroom with a story she had started at home with her mother (in her mother’s daybook) and feverishly worked on the story for morning work. Her simple personal narrative about a trip to get ice cream was the first real writing I had seen from this child. She is now one of the children that I know will raise her hand each and every time there is an invitation to the Author’s Chair in our classroom. The other added bonus to daybooks is that EVERYONE has a story ready to go at a moment’s notice. It organically became a very natural opportunity for integrating reading comprehension strategies from our reading into our writing and our listening to writing!! That’s a whole different project! Do you think you might do this again next year? I cannot imagine not doing this again next year. The school year can be so busy and, although I love every second of what I do, there are days where I come home mentally exhausted. I am looking forward to getting a jump start on the project this summer and building on the project for the next school year with the help of the Teacher Inquiry Project thinking partners. Although I have taught for 12 years, this is only my second year in a First Grade Classroom. 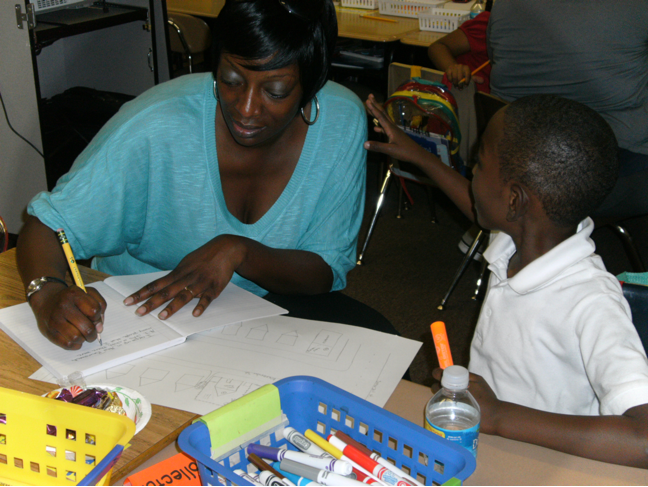 The parent support and relationships that this experience has afforded me has been invaluable to academic achievements for my children. As a result of the project, it is easy to talk to my parents even about the most difficult situations. Not only has it helped my students as writers but the parent response has shown me that it has increased the comfort level they have with our classroom. However, I have not been able, thus far, to pull in some of the families that, based on academic achievement, need it the most. I intend to use the support of the TIP to overcome this barrier in participation for ALL families in my classroom as well as to increase my ability to view it as a research model for the purposes of improving my teaching and for sharing with colleagues.